Our range of charity Christmas cards are now on sale. 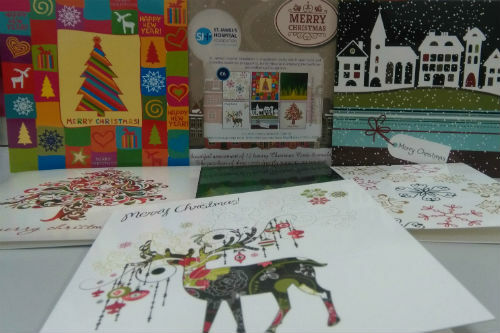 By purchasing these cards, you are supporting our homeless patients here at St James’s Hospital. This year, proceeds from sales of these cards will go to our Patient Support team who often need to provide new pyjamas and hygiene products for our homeless and vulnerable patients. Boxes of cards are available to purchase from the Foundation office and from the St James’s Hospital Concourse. Our online shop for cards is NOW CLOSED!